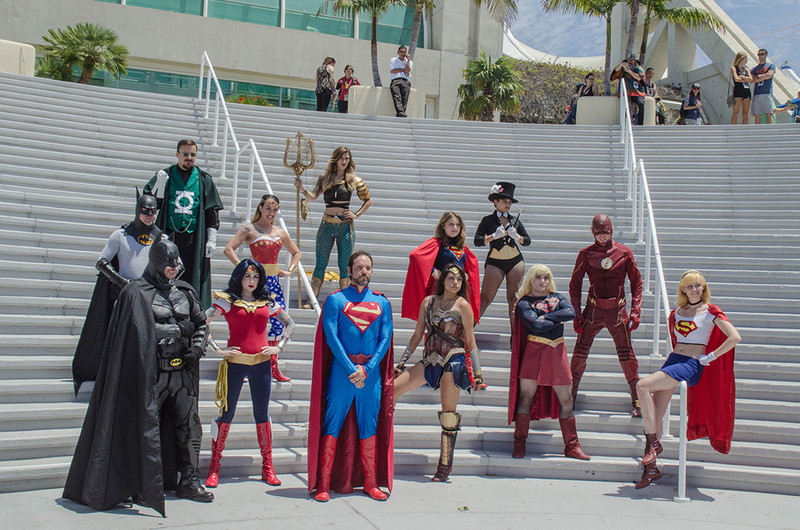 THE SAN DIEGO COMIC-CON INTERNATIONAL—or “Comic-Con,” the biggest convention of its kind in North America—hosted a record 167,000 attendees in 2015. This year, they apparently broke records again, with an estimated 175,000 people swarming the massive, sunny San Diego Convention Center, a flurry of professionals and fans parading against its wide, stunning views of the water. I was one of those people. For talismanic protection against the “Bronies” (look it up), I wore a necklace made by Gary Panter. “Unkenny” (or uncanny), it proclaims, a reference to George Herriman’s classic comic Krazy Kat. 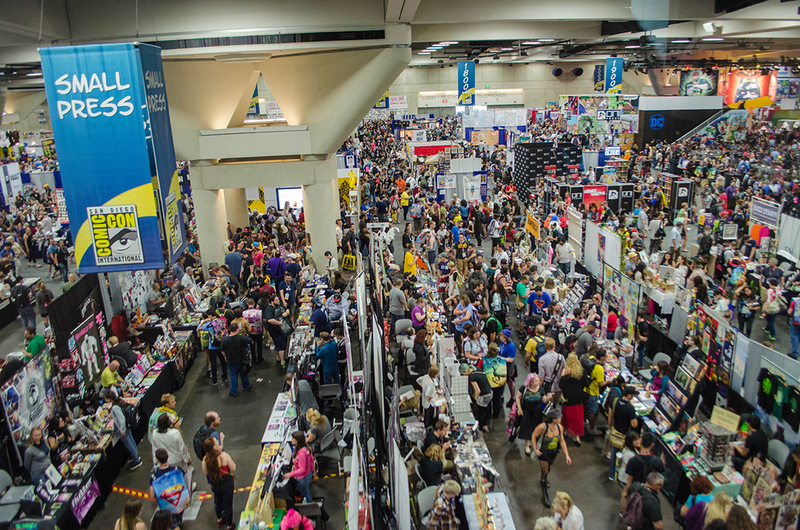 The joy, and also the fear, of navigating Comic-Con is the sheer democracy of its offerings: The range and scale is enormous. One sees this on the teeming convention floor with its hundreds of exhibitors, from the major movie studios to individuals who sell tiny handmade felt animals. And one sees this in the programming, which presents outsized events packed with thousands, like “Women of Marvel,” or esoteric panels like “Ball-Jointed Dolls Collectors Group.” (“Doll creators, owners, and enthusiasts discuss the world of ball-jointed resin dolls.”) It has become a cliché to note that Comic-Con, which began in 1970, is not really about the comics anymore—now that so much focus is on television, film, novelty toys, video games, cosplay, and the stuff of fantasy culture in general. But I went there for the comics. And there was a lot going on. The Comic-Con version of “it’s not about the comics anymore” is that it’s still hugely about comics, just not singularly so. As cartoonist Daniel Clowes told me, “I feel like we have a much bigger audience than we used to, but so does everybody else. Now there are so many comics it would literally be impossible to know about every comic coming out, even in a given two weeks.” Clowes, who created the classic graphic novel of teenage girl friendship, Ghost World (1997), was at Comic-Con for the first time in fifteen years, promoting his new sci-fi-inflected graphic novel, Patience. Comic-Con 2016 was a big year for independent publishers of artists like Clowes, such as Seattle’s Fantagraphics and Montreal’s Drawn & Quarterly. 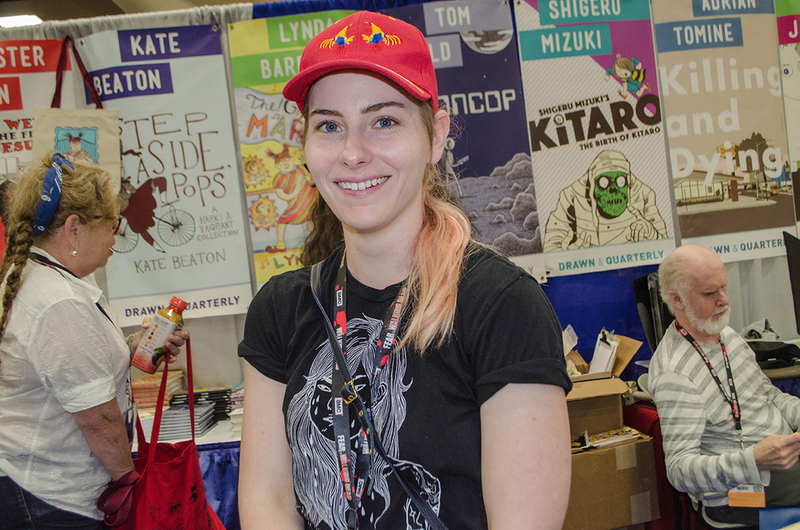 Or California-based Image Comics, which has a more mainstream genre aesthetic, but was founded in the early 1990s with the mission to produce “creator-owned properties”—comics for which the artists would not have to give up copyright to characters. (Image may best be known right now for The Walking Dead, the source for the popular TV show, and Saga, which the handsome young man sitting next to me on the plane to San Diego described as “Alice in Wonderland meets Star Wars on acid.”) That copyright is even still an issue to be debated shows how fractured the world of comics is—a fracture that an enormous umbrella event like Comic-Con, with the huge presence of commercial companies like Marvel and DC, can’t help but underscore. Fantagraphics, which publishes Dame Darcy, Ed Piskor, Jacques Tardi, and Robert Crumb, among others— and Drawn & Quarterly, which puts out Lynda Barry, Adrian Tomine, Shigeru Mizuki, and Julie Doucet (who I covered for Artforum in 2014), are publishers of auteurs, people who both write and draw the comics they create. Many comics companies, including Image, which largely employs teams to create its titles, however experimental the content, as in Saga, are not auteur-driven. On Friday night, at the Eisner Awards (basically the Oscars of the comics industry), the best-known auteurist publishers, Fantagraphics and Drawn & Quarterly, conspicuously cleaned up. Bill Griffith, creator of the syndicated, enduring alt-hit Zippy the Pinhead, won in the category “Best Writer/Artist” for his graphic memoir Invisible Ink. 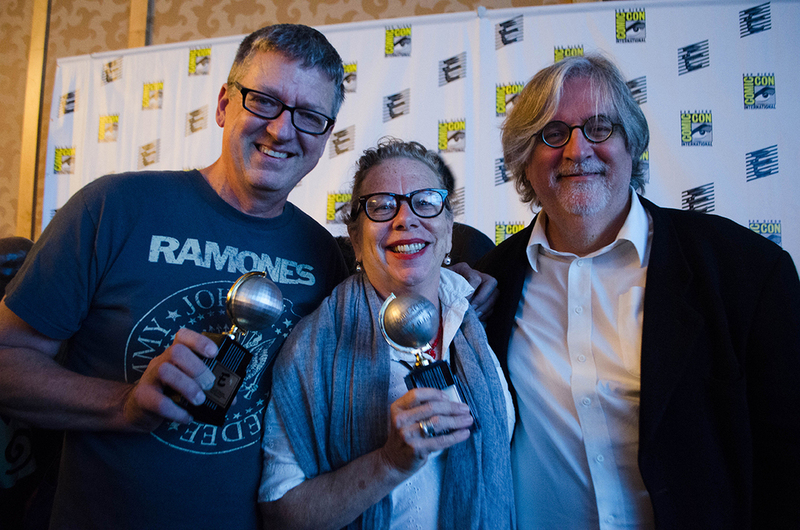 Accepting the award on his behalf, Fantagraphics publisher Gary Groth took the moment on stage to ask if the Eisners’ committee would consider changing the category to “Cartoonist”— which was met with loud applause and cheering. We can think of the art of the cartoonist, currently flourishing, as inhering in the capacity to create a world—narrative, aesthetic, graphic—through marks, in both words and images. Barry’s title as a professor of Interdisciplinary Creativity sounds too good to be true, but it’s an apt designation for a cartoonist, and also for someone whose central artistic pursuit for over thirty-five years has been about the nature of images across media. Barry’s recent “activity books,” What It Is, Picture This: The Near-Sighted Monkey Book, and Syllabus—which weave dense, brightly colored collage, narrative comics, and expressionistic drawing into philosophies of memory, pedagogy, and storytelling—are groundbreaking: Richly graphic, and moving, they invent a hybrid genre that generates from within the comics universe but totally transcends known categories. They’re artists’ books on a different scale. At the SRO “Drawn & Quarterly: After 25” panel on Saturday, publisher Peggy Burns recalled that while she was thrilled to sign Barry, she was relieved not to be the house production manager.